The big news at the 2016 ACC Kickoff had to do with the agreement with ESPN about a new ACC Network. The NBA needs the bipolarity of the Cavs and Warriors, opines Chris Graham in today’s Street Knowledge, which also covers his weekend on ESPN, the Night of the Superstars, MLB and a dash of politics. 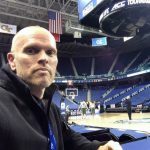 ACC Network: Dream, or pipe dream? Is an actual ACC Network ever going to happen? It’s a fair question in light of last week’s industry-shaking layoffs at ESPN. ESPN has launched a new vertical covering pro wrestling. AFP editor Chris Graham talks about why that is good for business for all concerned. Augusta Free Press editor breaks down the news that the ACC and ESPN are launching the ACC Network. Might it be good news that’s just a few years too late? 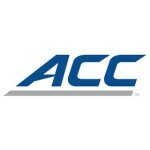 ESPN and the Atlantic Coast Conference will launch the ACC Network. The new network was formally announced today at the ACC Football Kickoff. 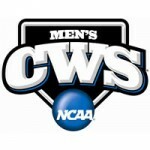 ESPN’s coverage of the 2016 college baseball season will continue with every matchup of the NCAA Division I Baseball Championship for the fourth straight year. Conference USA has reached a new multi-year agreement for a comprehensive national television package with four leading outlets. The Orange Bowl Committee announced today that the 83rd annual Capital One Orange Bowl will be played on Friday, December 30, in an exclusive primetime window on ESPN. Augusta Free Press editor Chris Graham interviews ESPN College GameDay analysts Jay Williams, Jay Bilas and Seth Greenberg on the eve of the matchup between #3 UVA and #7 UNC. Duke great Jay Williams thinks Virginia is playing the kind of basketball that can bring a national championship to Wahoo Nation. ESPN College GameDay crew on ACC player of the year: Malcolm or Brice? The ACC player of the year race is a “coin flip” between Malcolm Brogdon and Brice Johnson, ESPN basketball analyst Jay Bilas said Friday on the eve of the matchup between #3 Virginia and #7 North Carolina. Virginia will make two appearances on ESPN’s ACC Big Monday during the 2015-16 men’s basketball season, the network announced on Wednesday (Aug. 12). ESPN cuts ties with Colin Cowherd: Is Fox next? Colin Cowherd is out at ESPN after his latest racist nonsense tirade this week, this one aimed at Dominicans. Bill Simmons is out at ESPN, probably not coincidentally a day after laying down harsh criticism of NFL Commissioner Roger Goodell for his handling of the manufactured Deflategate controversy involving the New England Patriots. Assuming Justin Anderson returns, and we want to assume that, need to, to be able to function, UVA basketball looks to be maybe #1 or #2 in the preseason rankings for 2015-2016. Resident tight end moron Rob Gronkowski said this week that he’d rather suffer a concussion than a torn ACL, so resident ESPN talking head moron Colin Cowherd naturally had to agree. Why anybody listens to, watches or considers Colin Cowherd qualified to do more than wipe other people’s asses is beyond comprehension, but he was back at kneecapping UVA today. Nice twisted reasoning from ESPN Dook TV analyst Jay Bilas this morning on ESPN College GameDay this morning in the #1 seed debate. ESPN’s College GameDay Covered by State Farm will be telecast live from next week’s New York Life Atlantic Coast Conference Tournament at the Greensboro Coliseum. ESPN: Whither Stephen A. Smith? Even writing the name makes me want to take a hot shower. Stephen A. Smith. But give the guy credit: he does what ESPN asks him to do, and does it well. ESPN analyst Jay Bilas is a much smarter guy than he is when it comes to talking about #2 UVA and how the Cavs supposedly play closer games than anybody else because of their slower tempo. Listening to one of the various ESPN studio analysts discussing Selection Sunday, the idea was thrown out that the ACC won’t really end up getting two #1 seeds when the NCAA Tournament field is announced in two weeks. If you watched ESPN after last night’s Kansas State upset of eighth-ranked Kansas, you saw the anchors beside themselves over the court storm by K-State fans. Let’s do a blind taste test on stats from three ACC teams in ESPN college basketball games this week. Just for fun, you know, no other reason. 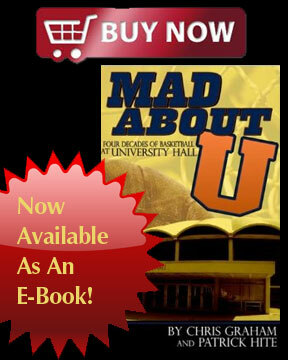 Packed Line: Is UVA style, success bad for college basketball? UVA basketball is bad for college basketball, ESPN.com columnist Myron Medcalf writes, because the Cavs lack style, substance be damned. Duke is the best in the ACC? Really? Fourth-ranked Duke won at unranked Syracuse in an ESPN prime-time game Saturday night, and the symbiotic relationship between The Worldwide Leader and its beloved university rose to the occasion postgame. To say atop the standings in the ACC and in contention for a #1 seed in the NCAA Tournament, writes ESPN.com columnist C.L. Brown, second-ranked UVA needs to recalibrate its offense. UVA basketball coach Tony Bennett was a guest on “Pardon The Interruption” with ESPN hosts Tony Kornheiser and Michael Wilbon on Thursday. One of the overriding questions heading into Saturday’s epic ACC clash between second-ranked UVA and fourth-ranked Duke concerns the Blue Devils’ freshman center, Jahlil Okafor. ESPN basketball analyst Seth Greenberg talks with reporters on the eve of the clash between second-ranked UVA and #4 Duke. ESPN basketball analyst Jay Williams talks with reporters on the eve of the clash between second-ranked UVA and #4 Duke. 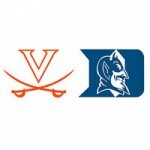 It’s almost upon us – the matchup of second-ranked UVA and fourth-ranked Duke. 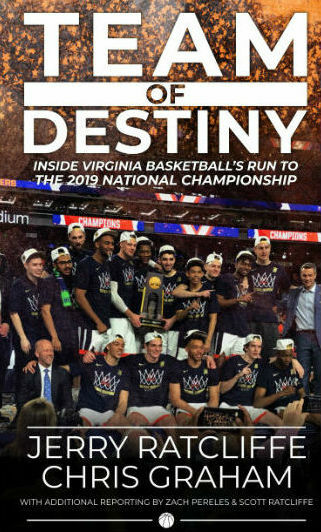 Augusta Free Press editor Chris Graham and sportswriter Jerry Carter were at the John Paul Jones Arena on Friday to talk with ESPN analysts Jay Williams and Seth Greenberg on the eve of the big game. Chris and Jerry talk about the interviews and about the game on UVA Sports Today. Second-ranked UVA (19-0, 7-0 ACC) hosts No. 4 Duke (17-3, 4-3 ACC) in ACC action on Saturday (Jan. 31). Tipoff at John Paul Jones Arena is scheduled for 7 p.m. The game is sold out. It’s Super Bowl Weekend, and #2 UVA hosts #4 Duke on Saturday. But those aren’t the only games going on these days. The Virginia General Assembly is playing like a sort of political game with the 2015 legislative elections hanging over the winter session in Richmond. The start time of the Virginia men’s basketball game vs. Louisville on Saturday, Feb. 7 has been moved to 7 p.m. from its original tip-off time of 6 p.m. The game will now be broadcast on ESPN. Second-ranked UVA is 19-0, and the John Paul Jones Arena in Charlottesville will be a madhouse on Saturday when #4 Duke comes to town. ESPN’s College GameDay will make its first appearance at UVA in Charlottesville at John Paul Jones Arena on Saturday, Jan. 31, prior to the Saturday Primetime telecast featuring No. 2 Virginia’s game with No. 5 Duke. UVA football player Quin Blanding earned his seventh Freshman All-America honor when the Football Writers Association of America (FWAA) included the safety on its postseason list today. Kentucky, of course, still has a “legitimate shot to finish the regular season undefeated.” This from ESPN basketball guru Seth Greenberg late Tuesday, otherwise explaining away how the supposedly indomitable Wildcats escaped its SEC opener with unranked Ole Miss, winning 89-86 in overtime.